Mayor Quan also got close to the floor and photographed action. I think she is ready for her own derby photography persona. (She can probably have mine since I am not really using it.) After the bout, she spoke to reporters and fans. Mayor Quan looked like a regular derby fan. 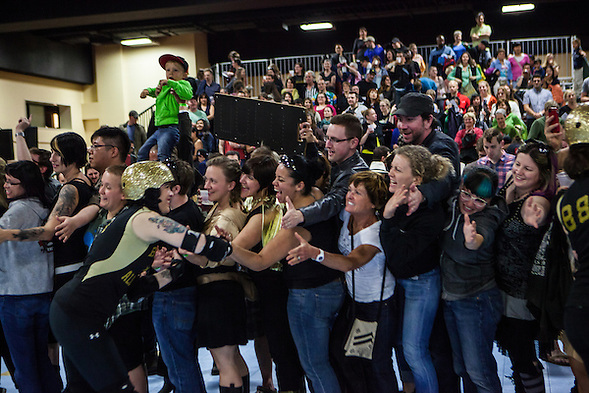 When the bout ended, the fans rushed the floor and congratulated the home team. 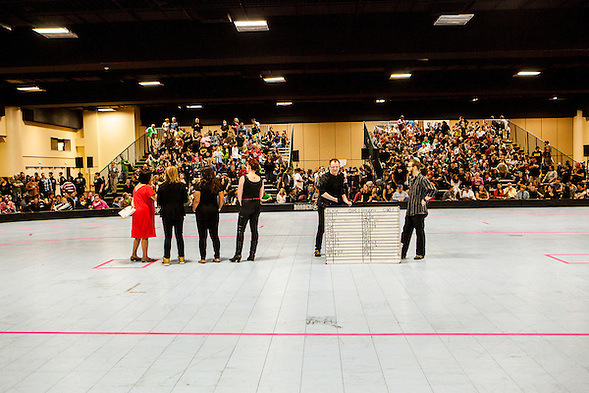 After the Golden Girls skated a few laps, the fans thanked the visitors. Mayor Quan joined the line too as if she had been going to derby with her mother. On the other hand, I felt completely out of place. (It is hard to be a persona, when you are struggling to find yourself.) 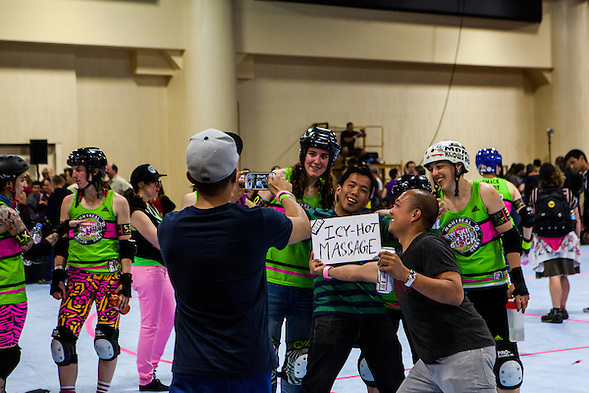 Allegedly, I am a real roller derby photographer. I have a really cool web address (A Flat Track Mind dot com) and an even cooler roller derby persona (P Giddy). But it is hard to be giddy when I prepare for the mayor’s visit by listening to John Mayer… and not the uplifting John Mayer, but the melancholy Shadow Days John Mayer. No kidding, “it hurts to be real and honest.” That is why I created P Giddy. I wanted a youthful persona who resembled a cross between Jeff Spicoli and McLovin from Superbad (check out the 2007 Flash website). P Giddy would wear a 1980’s rock concert T-Shirt’s and quote scenes from Fast Times at Ridgemont High. He would pretend to love Led Zeppelin, although he would really listen to Jackson Browne’s Somebody’s Baby (from Fast Times). Oh wait, this persona is starting to sound more autobiographical than I intended. This entry was posted on Thursday, May 30th, 2013 at 11:39 pm. 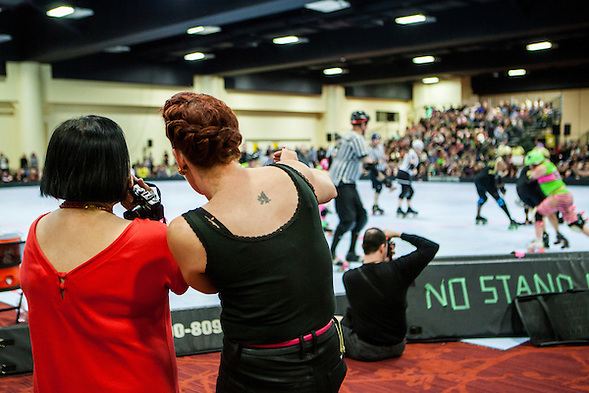 It is filed under Roller Derby and tagged with Bay Area Derby Girls, mayor quan, montreal roller derby club, Roller Derby, womens flat track derby. You can follow any responses to this entry through the RSS 2.0 feed. 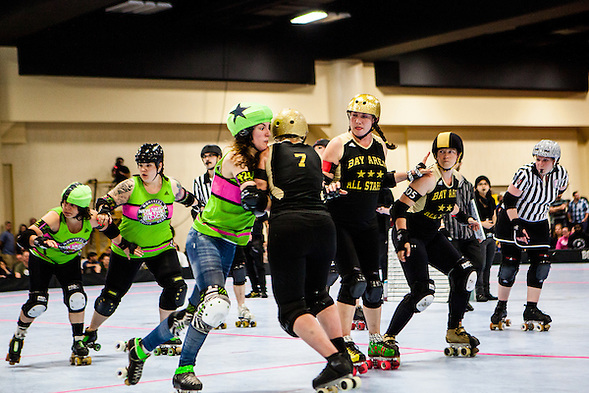 Brandy Esparza, there is at least one photo of you inside this post about Oakland Mayor Jean Quan, Montreal Roller Derby, B.ay A.rea D.erby Girls … and John Mayer. Look for the link! Thank you Rachelle Skidmore for reading this. You actually knew me when I was the teen age version of me that I mention at the end of the post. I guess you always knew that I wasn’t the Spicoli type either, even if I wanted to be.